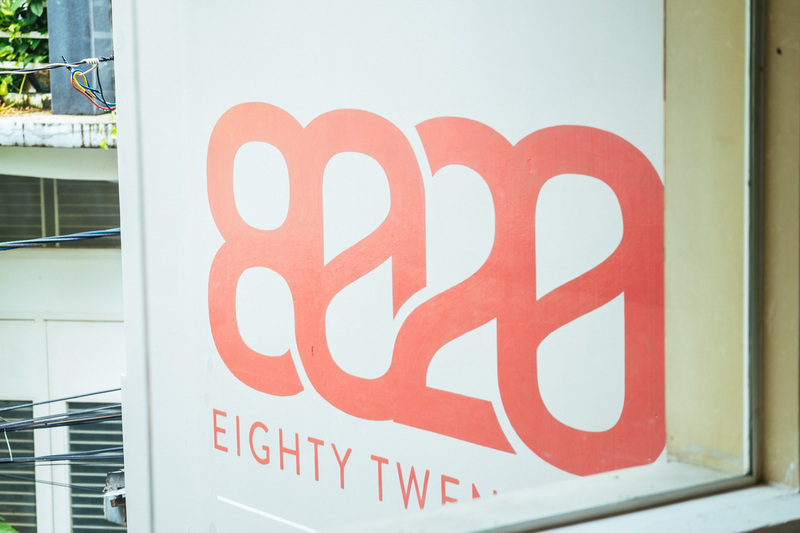 I first spotted 8020Fit when my Airbnb guest started having his food delivered to my house. The meals came with a logo-branded brown paper bag and prepackaged boxes of healthy meals and snacks. A few days later, I found 8020Fit again. This time on Suboi’s Instagram. A friend visited soon after and asked me for recommendations about healthy food and fitness companies. Even though I didn’t know Ynhi Lehoang and Derrick Nguyen at the time, I referred her to their company’s website. After her productive visit to their body transformation center, I needed to reach out to the 8020Fit team myself. 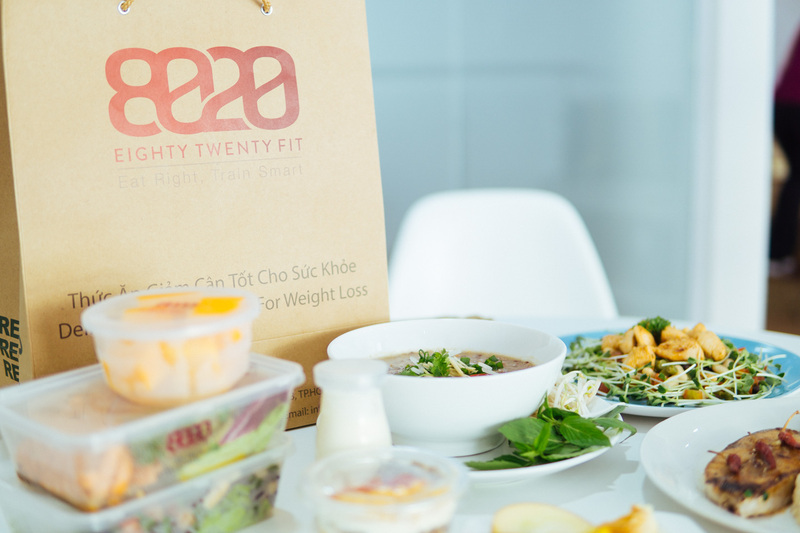 Through writing this article and discovering what 8020 and its team has to offer, I finally got some much needed answers about fitness and healthy eating in Vietnam. We got the chance to sit down with these two certified personal trainers from the States, Ynhi Lehoang and Derrick Nguyen, to learn about what fitness and nutrition in Vietnam mean to them and their clients. We also learn a little bit about their personal backgrounds, coming from Belgium and Los Angeles, respectively. So what does 8020Fit do exactly? We offer a two-sided program of 80% nutrition and 20% fitness: healthy Vietnamese or Western food delivery coupled with 1-on-1 personal training and group fitness classes. Many of our clients don’t have the time to grocery shop, cook, clean, or train regularly on their own. Our mission is to minimize the time and effort as much as possible, so we conceptualized a comprehensive fitness and nutrition plan that’s time-sensitive with maximum results. 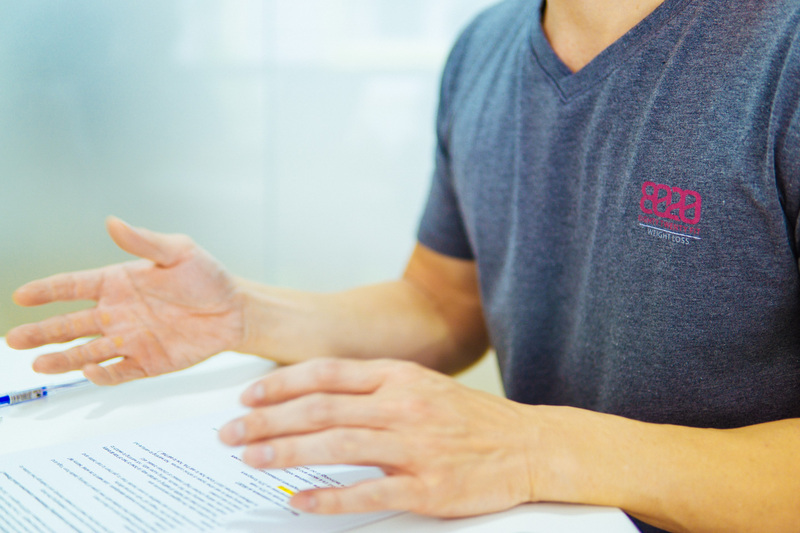 Based on a 30-minute fitness and nutrition consultation coupled with a body composition analysis, we design a well-balanced meal and fitness plan for each client. We offer a 6-week rotating set menu of freshly made, healthy and nutritious food, delivered anywhere within Saigon, six days a week from Monday thru Saturday. Our daily package includes 3 main meals and 3 snacks. Depending on each of our clients goals, we also design an effective fitness plan that includes 1-on-1 Personal Training and Group Fitness Classes ranging from Bootcamp, Cardio Dance, Chair Workout, and Ballet Fitness. The name comes from our focus: 80% nutrition and 20% fitness = 100% body transformation. weight gain, or simply maintaining a healthy eating lifestyle. Working out alone will not achieve all of your health and fitness goals. You need to plan and balance the two effectively hand-in-hand in order to see maximum results. For us and many professional trainers, that means focusing on the nutrition factor. What does fitness mean to the average Vietnamese person? The average Vietnamese will work out in order to eat whatever they can put their hands on afterwards. Many think that light exercising without challenging themselves physically will give them the results they want. An example to support the above: from observation, there are many women that like to walk super slow on the treadmill for about an hour, and then end up in the locker room afterwards eating their banh mi or banh bao, while complaining with other female peers that they are not losing weight. In our experience, that’s ineffective exercising and eating habits. What are some challenges about educating Vietnamese consumers about fitness? We encounter a large number of clients that have never exercised before and are not used to putting in the extra effort and hard work to challenge themselves. Getting clients to eat right and train smart can be challenging, but it’s even more difficult to get some to understand that you cannot just buy your health, you need to also apply effort, discipline, and commitment each and every time. Learning the fundamentals of a suitable and realistic fitness plan, incorporating different variations and intensities to keep it fresh and exciting, and trying out new twists to old workouts is the only way to get results. Too stuck in their old habits of eating a certain way. A bowl or two of rice at every single meal, needing their fish sauce, eating super salty, not wanting to switch to brown rice, eating chicken thigh instead of chicken breast. Not being able to eat other types of ethnic cuisines. Not wanting to venture out to different cuisines. The most common excuse is that they don’t know how to eat this or how to eat that. Who are your customers at 8020Fit? For many months, 80% of our customers are female and 20% are male. But recently, we’re seeing more men sign up for our program, about 40% women and 60% men. Approximately 75% are Vietnamese and 25% are foreigners. The largest age group are 25 to 45 year olds. Many are upper management professionals or business owners. Any exciting new initiatives rolling out soon? Always! New fitness, food, and marketing programs are always in the work. We’ve also wanted to spend more time on building out our technology platform to better serve our team and customers. We recently just released our healthy homemade retail products such as protein cookies, pumpkin almond milk, and natural peanut butter. So far it’s been well received with our clientele new and old, so we’re super excited about that! At Ru Pho Bar Restaurant (Ynhi’s mom’s restaurant). We practice similar cooking and dining principles at 8020Fit. The restaurant also has a no MSG policy. Other than that, we love going out to Hideaway Cafe, Wrap ‘n Roll, Elbow Room, Carpaccio, The Racha Room, Papagayo, Pizza 4P’s, and La Mint. Occasionally, we can be seen eating local street food or eating Banh Cuon at Cho Ben Thanh. 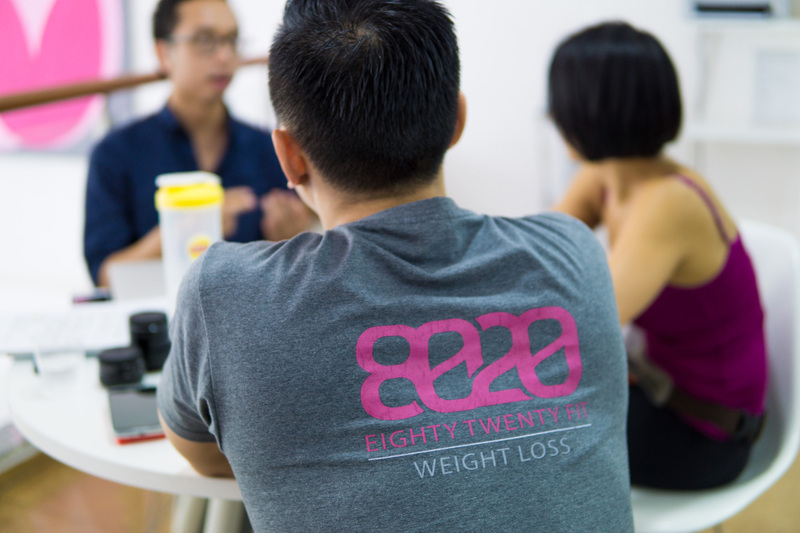 What are some nice-to-knows about 8020Fit and Ynhi & Derrick? I am Excel-addicted. I love to create new files to facilitate procedures at work, love to do vlookup, pivot table, write macros. Nerdy! I started working out and eating healthy at around 39 years old. It’s never too late to start. Dare to think of yourself as young (at any age). You can always change your ways for the better. Before becoming a personal trainer with specialization in weight loss and fitness nutrition, I was in the F&B business for more than 20 years. Tell us one story from your experiences growing up in Belgium and America as young overseas Vietnamese. Ynhi: I was born in Belgium where there aren’t that many Vietnamese people. I pretty much considered myself a Westerner. It’s when I arrived to Los Angeles that I finally came in touch with my Vietnamese side because there’s a big population of Vietnamese in Orange County, California (better known as “Quan Cam”). In California I improved my Vietnamese and discovered a bit more about my Vietnamese roots, the habits, perceptions and of course, amazing Vietnamese food. I returned for the very first time to Vietnam at the age of 27 in 1998. I thought it was unlike any other countries I had visited! So different, yet so at home in the chaos! Derrick: I didn’t start traveling until my early 20s. After Ynhi and I met, we explored adventurously together. Every single year we made it a tradition to go somewhere different. It built a sense of adventure in me and moved me away from my former conservative lifestyle in California. These amazing trips opened up my mind to the idea of living abroad. This is definitely a unique opportunity and lifestyle change to try out at least once in your life. At the end of the day, you can always go back to your normal life. It took us many, many years to build up the courage and will to actually decide and make the big international move. And we finally did it! Moving here wasn’t as difficult or crazy as we imagined it to be, of course with tons of love and support from friends and family! Sometimes we still can’t believe that we’re here. When we’re riding on our little moped around Saigon along the canal enjoying the fresh cool breeze, we sometimes have a surreal moment that we’re actually here and doing it together. We’ve been here for 2.5 years and still going! We’ve learned so much about ourselves and definitely built a lot more character in such a short span of time. We’ve also created this business together that is something totally new for Vietnam and completely unimaginable for us if you would’ve asked us a few years prior. 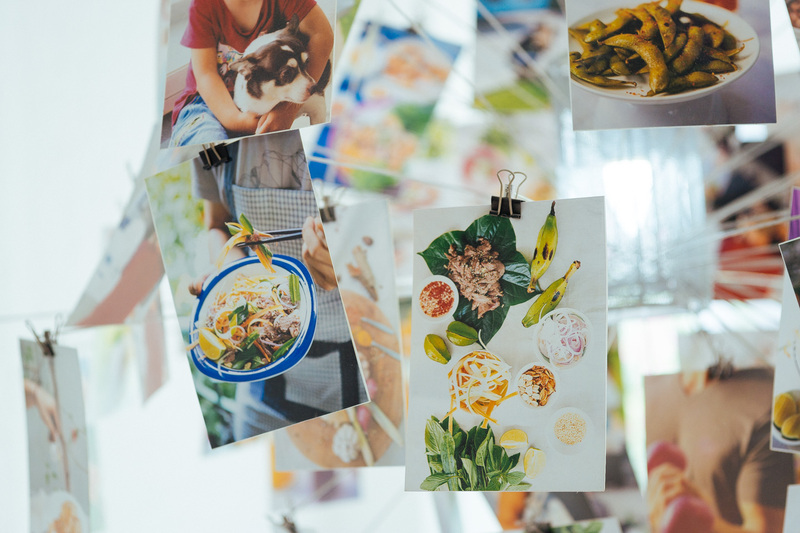 Nina Nguyen who opened Ru Pho Bar based on the idea of authentic Vietnamese food, being prepared without the use of MSG and whose recipes are a reflection of her roots, and journey through Europe and the States. Ezio Rosa. He’s a specialist in a new system of training called EMS, or Electric Muscle Stimulation. Right now, Ezio is currently training a lot of models and celebrities. It’s a 20 minute workout meant to produce the same results as several hours at the gym. It hasn’t been FDA-approved, so you won’t find it in America. A different form of it has been approved. It’s been popularized in Germany for a long time now. Dan Nguyen from France. His family produces a line of cosmetic spa products. They do the R&D of the product and branding in Vietnam and sell it in France.